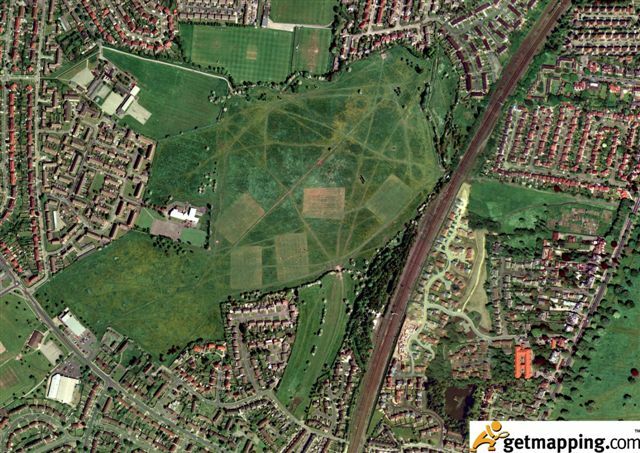 This is an aerial photograph of Hob Moor taken in Spring 2007, showing the cyclepath. 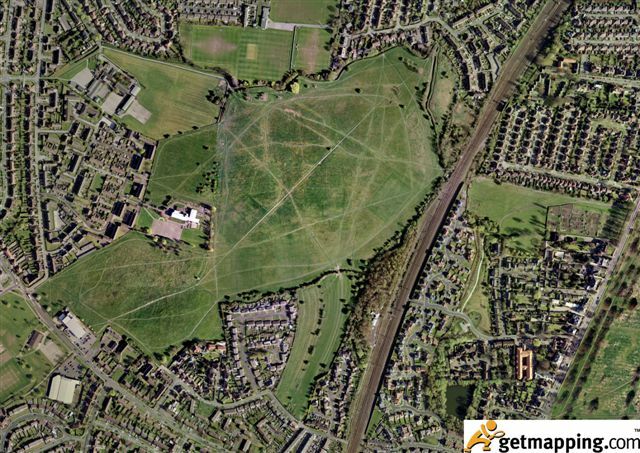 Below is an aerial view of Hob Moor taken in 2002, before the cyclepath was built. 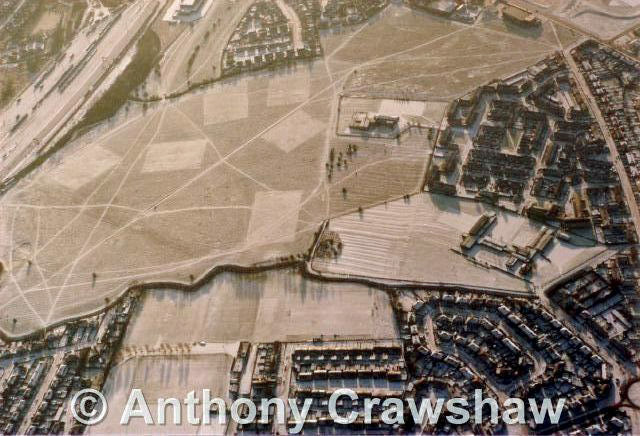 Below is an aerial photo taken in 1999, clearly showing the five sports pitches which then existed. Below is another aerial photo of the moor from the 1980s, this time taken looking south with the railway line on the left. 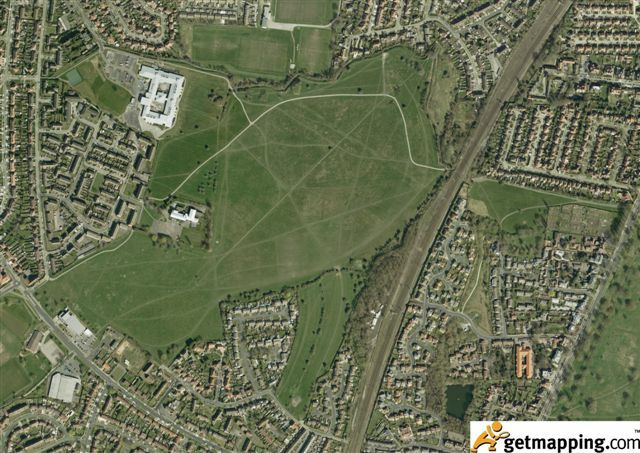 You can clearly see the six sports pitches. Also just visible is the old food storage warehouse at the top, now a small housing estate. 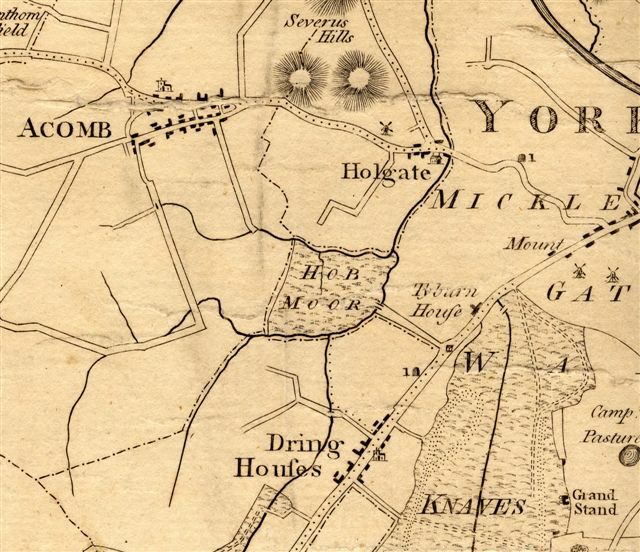 Below is an extract from a map drawn by White in 1785 when Hob Moor didn’t include the area next to Edmund Wilson baths or North Lane field. 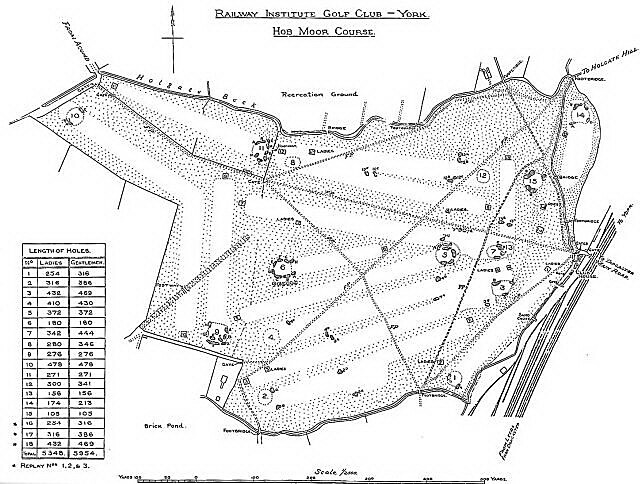 Below is a plan of the Golf Course in 1935, courtesy of Pike Hills Golf Club. More details on the history of the club can be found here.